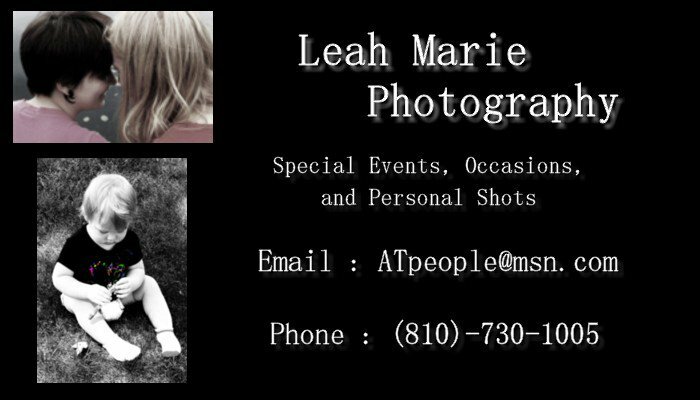 Im a freelance photographer just south of Flint, MI. I am experianced in many areas of photography and welcome any and all photo wants and needs. Feel free to email or give me a call regarding any questions, comments, or to set up an appointment.